When it comes to real estate tech and social media, the field is somewhat rife with movers and shakers. Still, some people tend to stand out more so than others simply because of the contributions they have made to the industry as a whole. Below, we take a closer look at some of the most influential people in real estate tech and social media. Beginning her career as a broadcast journalist, Bohutinsky worked for a number of affiliates before moving on to run the communications division for Hotwire, the discount travel site. Later, she moved on to join Zillow and was instrumental in helping the firm develop a wildly successful national television, Internet, and print ad campaign. Thanks to that campaign, Zillow was able to grow its online and mobile market share significantly. While attending the University of Cincinnati, Allison studied real estate development and later moved on to the University of Cincinnati College of Law to study corporate law. In 2009, Allison founded dotloop. Today, almost half a million real estate professionals use the platform to negotiate, sign, and close deals. Steven H. Berkowitz, CEO of Move Inc. Previously a Microsoft Corp. senior vice president, Berkowitz accepted the position of CEO for Move in 2009. Two years ago, Berkowitz led the real estate services network through an intensive acquisitions process that allows the firm greater flexibility in terms of attracting consumers. While he obtained a B.A. in psychology from Harvard, Eisenberg began his career in business at Bain & Company. 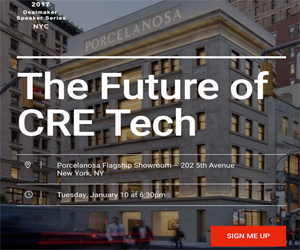 He later went on to found Floored, an innovative real estate tech firm with the goal of reinventing the virtual home tour process by providing interactive 3-D experiences. Eisenberg's firm has been voted the best real estate tech startup during a Realogy FWD Innovation Summit. Previously the CEO of Duodater, a dating site, Flachner later founded RealScout, a real estate listing site that acts as a somewhat hybrid blend of a listing portal and agent website. Providing the ability to search for real estate listings based on amenities and features, RealScout also provides a type of custodial role for real estate agents. Leveraging the opportunity provided by crowdfunding, Helman founded Realty Mogul in 2012. Prior to launching the firm, Helman served as a vice president at Union Bank, where she worked in wealth management with broker dealers. Holding a B.A. in computer science from Brown University, Lerner is also a Fulbright fellow. As the chief technology officer for Walk Score, Lerner has been responsible for supervising the development and release of a wealth of features that have made it easier for prospective buyers and tenants to evaluate properties and neighborhoods, including crime maps and revamped neighborhood pages.